Under-used RAM - Windows 7 PC not using all of its 4GB memory - PC Buyer Beware! My desktop PC is suffering from a bad case of under-used RAM memory. I have upgraded Windows and the RAM memory on my PC. I’ve installed 4GB of RAM and Windows 7 Home Premium (64-bit version), which is supposed to be able to address 128GB of memory, but only 2.7GB is reported as usable. The PC has an Intel Pentium 4 3.6GHz single-core processor and a DFI LanParty 925X-T2 motherboard with an Intel 925X chipset and a GeForce 8800GT graphics card. This Q&A deals with a computer that is using less memory than the installed capacity. The following link goes to a Q&A that deals with a computer that only has 4GB of memory installed that can be upgraded to run more. Check to make sure that you have memory with those support specifications. Run the Memory Advisor tool on crucial.com (US) and crucial.com/uk (UK) to find out which memory it says is supported by that make/model of motherboard. You no doubt have bought the correct memory and other issues are responsible for the under-reporting. 1. – A 64-bit version of Windows must be used. Most PCs still use 32-bit versions of Windows, but most relatively new PCs come with a 64-bit version. 3. – The motherboard’s chipset must support at least 8GB of address space. Intel chipsets that have this capability include 975X, P965, 955X, which are all Intel Socket LGA775 chipsets, and all chipsets for Intel Sockets 1366 and 1156. AMD chipsets that use Socket 940, 939, AM2, AM2+ and AM3 also support 8GB of address space, which means any AMD processor dating from 2005 does, but some Intel processors dating back to 2005 don’t. 4. – The system’s BIOS/UEFI setup program must support memory remapping, which allows the segment of system memory previously overwritten by the PCI configuration space to be re-mapped above the 4GB address line. This feature must be enabled in the BIOS. It can be difficult to locate, since, for some strange reason, there is no standard terminology for memory remapping. In the BIOS, look for a memory setting called PAE, Physical Address Extension, Memory Remap, etc. The motherboard’s user manual, downloadable from its manufacturer’s site if you don’t have a paper copy, which explains what the BIOS settings do, might be of assistance. Make sure that it is enabled. For example, you have 8GB of memory installed on a 64-bit system and the system reports only 3.5GB, that is most likely to be a BIOS setting on your PC’s motherboard plus the system memory reserved to map the memory of the graphics card (more information on that is provided further down the page). 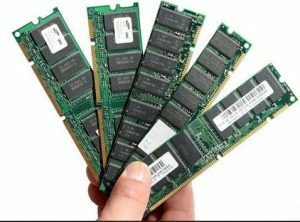 The information on under-used RAM memory provided in the following relevant Microsoft Knowledge Base article also applies to Windows 7 and higher versions of Windows. Only a few Intel Pentium 4 (single-core) processors support 64-bit instructions. Fortunately, yours, one of the last Pentium 4 CPUs made, using the Prescott ‘F’ core, does. However, memory mapping remains a problem. With modern versions of Windows, such as Windows XP, Windows Vista and Windows 7, large areas of memory between 3GB and 4GB are reserved for system devices. The processor and other peripheral devices can communicate with other devices by reading and writing memory addresses into these reserved areas. The largest slice of memory is usually reserved for the graphics card(s). The graphics card’s onboard graphics RAM memory has to be mapped to the main system RAM memory, byte for byte. Therefore, if the graphics card has, say, 512MB of memory, 512MB of installed 4GB is unusable by Windows. If you were to install two Nvidia GeForce 7950 GX2 graphics cards that have 1GB of graphics memory each, 2GB of 4GB of RAM would not be accessible by Windows. If your hardware and software were all 64-bit compatible, this mapping problem becomes less significant. It looks as if your motherboard’s BIOS doesn’t support memory mapping or the feature is disabled. If you can’t find the option, look for a BIOS update on DFI’s website. The current version’s ID is provided on the startup screen if it is the one that provides a memory count, not the computer-manufacturer’s logo. The free Belarc Advisor from belarc.com provides the BIOS/UEFI version. If there is a higher version, you might be in luck. February 18, 2017 in PC Problems and Solutions, RAM Memory Problems.